The Cornwall Tourism Awards 2016/17 have taken place and Bude Tourist Information Centre and East Thorne Farm are winners! 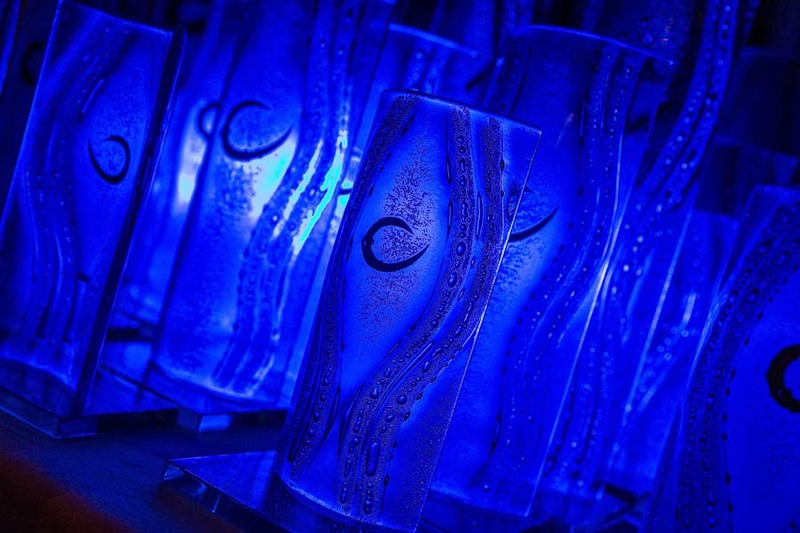 The prestigious Cornwall Tourism Awards showcase the very best of tourism businesses in Cornwall and the Isles of Scilly. 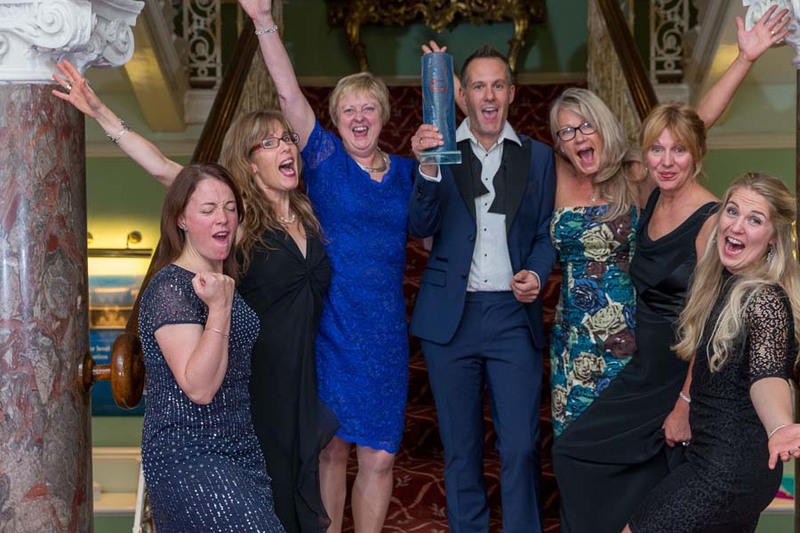 Here in Bude we have a history of success at the awards, and this year Bude Tourist Information Centre scooped Gold in the ‘Tourist Information Service of the Year’ category, with East Thorne Farm winning Silver as ‘Glamping Business of the Year’. Now in its 15th year, The Cornwall Tourism Awards 2016/17 was attended by several hundred tourism professionals, all in line for a Bronze, Silver or Gold award. The awards were a great night for all involved, and marked the end of six months of judging. The celebration evening was enhanced by an entertaining presentation from lyricist Sir Tim Rice who shared anecdotes from his collaborations with Andrew Lloyd Webber and Elton John. “Huge congratulations to everyone at the Tourist Information Centre and East Thorne Farm for delivering such a fantastic experience for Bude’s guests. Visitors rely on the Information Centre to really make the most of their time in Bude, so we thank Mark, Alison, Alysha, Clare, Jane, Jo and Penny at the office for being the best!” – Linda Winstanley, Director of Bude Area Tourist Board. “Bude is a thriving Cornish holiday resort. 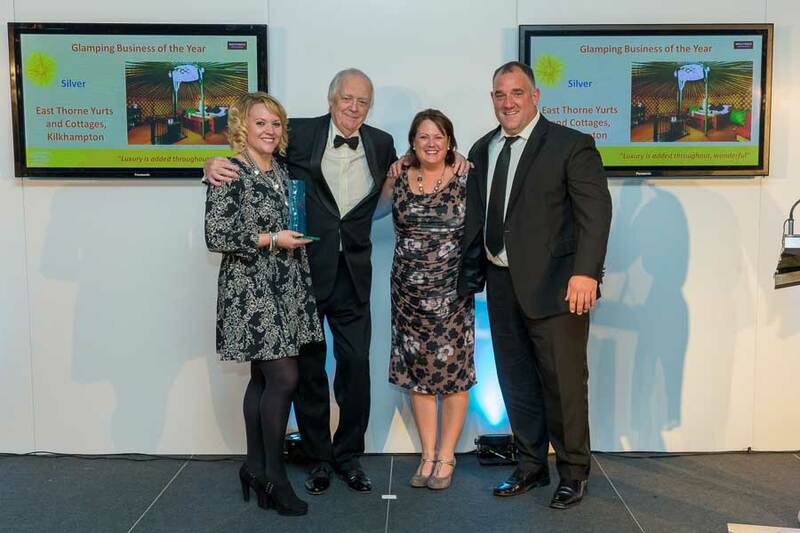 All of the local businesses work hard to ensure Bude stands out as the best in Cornwall, but this recognition at the Cornwall Tourism Awards is a fantastic achievement for the staff at the Tourist Information Centre and to Adam and Naomi at East Thorne Farm!” – Charlotte Colwill, Chairperson of Bude Area Tourist Board.